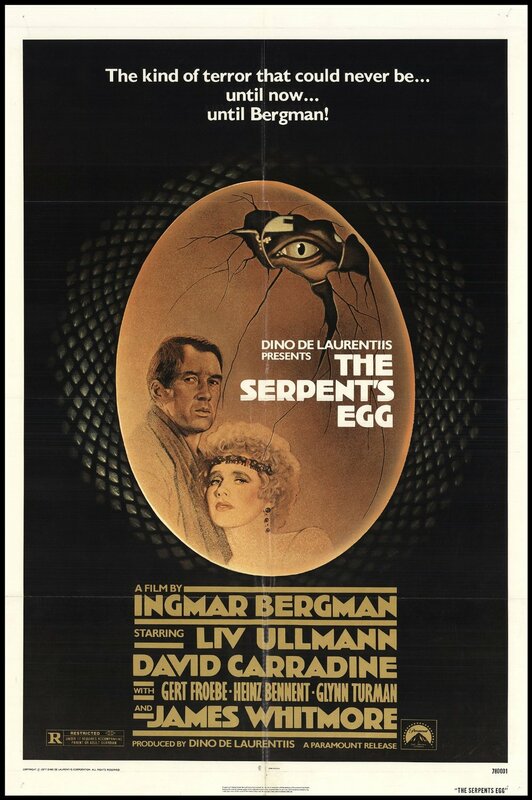 The Serpent's Egg is a 1977 American-West German drama film directed by Ingmar Bergman and starring David Carradine and Liv Ullmann. The story is set in 1920s Berlin and features English and German dialogue. 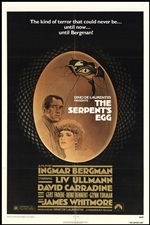 This was Bergman's one and only Hollywood film. 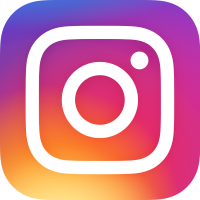 The title is taken from a line spoken by Brutus in Shakespeare's Julius Caesar: And therefore think him as a serpent's egg/Which hatch'd, would, as his kind grow mischievous;/And kill him in the shell.